Kim Kardashian is having a very difficult period in her life. It all began with the robbery in Paris in the beginning of last month, of which she became a victim. After this incident she suffered from nervous breakdown, and now her husband Kanye West, whom she trusted, left her in a difficult moment. When Kim returned with her husband from France, she was in a state of deep shock. Not only because Kardashian had lost her fabulous wedding ring, which was presented to her as the engagement sign and other jewelry about $ 10 million in total. The criminals left her bound and with a taped mouth in the bathroom where she lay for a long time, being assured that she was going to be killed. After that, Kim complained to her husband, that she had nightmares every night, reproducing the incident. For a few weeks she was afraid to leave the house and demanded a bunker-refuge — in case her American home was invaded by bandits. However, the spouse of a Kardashian, which at first comforted and supported his wife, apparently, in the end, felt tired of this constant drama. Kanye stopped paying attention to her constant complaints, and despite Kim’s entreaties, who assured him that she was afraid to be alone, decided to go on a long tour. A series of concerts under the name of Saint Pablo Tour was, of course, planned in advance, but he could get into the situation of the couple and postpone the tour. But Kanye did not do that and offended Kim by his act. 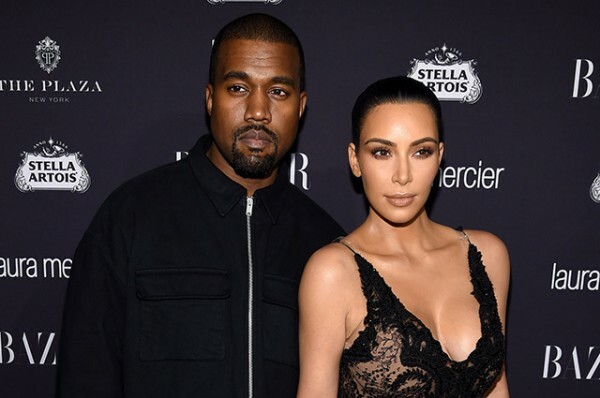 And, according to her friends, Kardashian, who saw betrayal in his actions since he left her at the moment when she especially needed him, is thinking seriously about divorce.